Thousands of motoring enthusiasts made the pilgrimage to West Sussex on 25 – 28 June to take in the annual Goodwood Festival of Speed. Highlights from the Festival included a glut of new vehicle debuts, dozens of classic car displays and a 40-meter high sculpture to celebrate Mazda's racing success. But don’t just take our word for it; check out our gallery below for the top 10 highlights from the Goodwood Festival of Speed 2015. 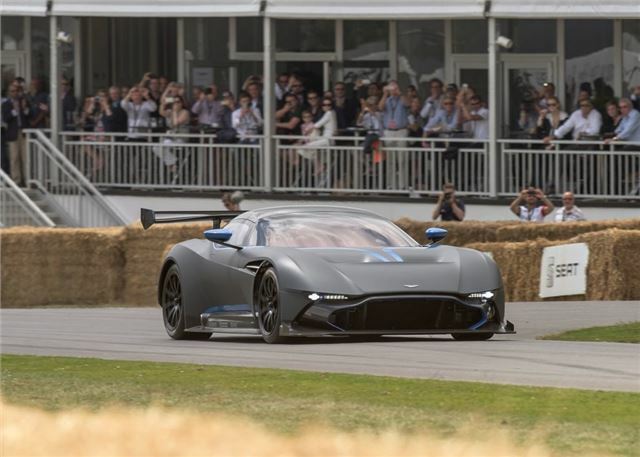 Aston Martin’s track-focused Vulcan supercar made its British debut, with timed performance runs up the hill. Powered by a naturally-aspirated, 7.0-litre V12 petrol engine, the 800PS Vulcan is predicted to be capable of sprinting from 0-62mph in less than three seconds, before reaching a top speed of more than 200mph. The Vulcan was officially unveiled at the Geneva Motor Show 2015 and has been designed purely for track use, which means it’s not road legal. Just 24 are expected to be made, with prices estimated to be in excess of £1.5 million.